In most of the wine and spirits world, money tastes like power. Sake is different: the taste of money, in sake, is often clean and elegant. The Japanese aesthetic is responsible, and I mean this mostly about food, but not exclusively. Expensive works of Japanese art traditionally are breathtakingly simple. Think about the Zen rock gardens of Kyoto: how we're supposed to feel from looking at three rocks in a field of sand. Japanese food is the same way. If you really want to drop serious coin on sushi in Tokyo, you don't get 49er rolls -- you get a single piece of pristine fish on a log of vinegared rice. You are to appreciate the cut, the delicacy. The taste should be clean, not complex: simple. Naturally, the right sake for that kind of food is also clean, simple, pristine. But it's anathema to the wine and spirits world. Expensive spirits generally taste of longer time in oak. And from a sake point of view, I can divide the world's wineries by their goals: power, or complexity. I can't think of a high-end winery that pursues the goal some Japanese breweries are after, particularly in Niigata. Dinner with Hakkaisan president Jiro Nagumo. If you had just one sake to go with this, what kind of flavor would you want? "We believe that sake is not the main character on the table," says Makoto Hirasawa, senior managing director of Asahi Shuzo brewery in Niigata. "We want to be the best supporting actor on the theater of the table." Asahi Shuzo's main brand is Kubota, which made a splash in the 1990s with its high-end Kubota Manju. For a time, this was the sake Japanese would buy to show off: the Opus One of sake, or the Cristal of sake. At retail, it was expensive but not outrageous -- $50 or so, while few other sakes went over $25. But the company carefully limited distribution, and on restaurant lists the markup was egregious. People bought it to show that they could. Kubota Manju is trying to transfer that reputation to the US now because it's only available in high-end restaurants, where it usually sells for $150 a bottle or more. It's well-known enough that people who like sake have heard of it, but like Cristal or Opus One, many don't want to pay the freight and may have never tried it. So when you taste it, the cleanness and simplicity are striking. It's lean and pretty with floral hints and a nice mineral-water-like mouthfeel. I can't imagine comparing a sought-after wine to water, but that's the best analogy here: you can drink it like water, and it's just as cleansing and refreshing. "Strong-flavored sake is easy to make," Hirasawa says. "Clean sake is harder to make. To make smooth sake, you have to have really precise temperature control over the long term. We try to be as nice to the rice as possible." South of Asahi Shuzo but up in the mountains, where winter snow is piled five feet high, Hakkaisan brewery is pursuing a similar goal. "The role of sake is not to overwhelm the food," Hakkaisan president Jiro Nagumo says. "It is to make the food taste more delicious." 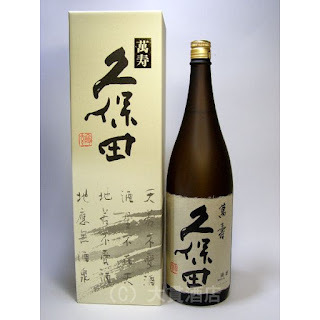 Hakkaisan is best known in Japan for its honjozo sake, a class generally below ginjo which has brewer's alcohol added and therefore, paradoxically, is often more expensive in the US because of tax laws. Hakkaisan Honjozo is clean and refreshing with some stonefruit on the nose and a slight saltiness on the palate, the better to go with dinner. I had dinner with Nagumo, along with four visiting US Master Sommeliers, and Nagumo pulled out the not-for-sale, top-of-the-line sake he makes for competitions and his own personal use. The rice is milled so that only 33% remains -- a ratio usually seen only in competitions (though hold that thought, because I'll write about the fabulous Dassai 23 next week). Hakkaisan is a relatively big brewery, Japan's 17th largest, with the automation typical of that size. But for Nagumo's personal sake, every step of the process is done by hand, in part to keep workers sharp in skills that might otherwise be forgotten. As a wine lover, when I hear that "every step by hand" bit, I'm expecting complexity, depth of flavor, a beverage that just keeps changing in the glass. I'm thinking like a wine lover, not a sake lover. Nagumo's personal not-for-sale sake reminds me of Kubota Manju: It's clean, it's simple, it's pristine, and I just kept drinking the heck out of it. My glass emptied, and somebody refilled it. My glass emptied, and somebody refilled it. My glass emptied, and -- hey, excuse me, my glass is empty over here. The use of local rice is a welcome trend in Japanese sake, as breweries seek to define a prefectural taste. But Nagumo insists on Yamada Nishiki, the leading brand of sake rice from the much warmer south side of the main island of Japan, for his personal sake. I was surprised by this because Niigata lays claim to growing the best rice in Japan. "Sake is a product of craftsmanship, rather than raw materials," Nagumo says. Nagumo says that to achieve what he wanted in his personal sake, the only way was to use Yamada Nishiki, which is less likely to crack open at ultra-high polishing ratios than locally famous Gohyakumangoku. And in fact, while Kubota uses mostly Gohyakumangoku for the Manju, some of the rice for Manju is polished to 33% for more brightness, and for that Kubota uses local eating rice. Niigata has been a leader in Japan's sake market ever since brewers discovered the clean, crisp, easy drinking style. Personally I went through a stage of anything-but-Niigata, as I sought out richer, more complex, fruitier, more intense sakes. A top Niigata sake, on a table full of other taste experiences, will not jump up and shout at you. That's the point. But for me, the most important test of quality in any meal is the empty-glass test: If I have 5 wines in front of me, the one I like best is not always the one that makes me go "wow," but the one I need refilled. In wine, that's the success of balance. In sake, in Niigata, it's the success of the elegance of simplicity.